If you think the Wall Street and London financiers—who looted the banking system and remain free to profit by it again—are clever, you should see David Copperfield's sleight-of-hand, which makes the bankers' Ponzi schemes look like child's play. 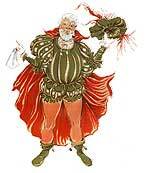 In his latest update of the conjurer's art, Copperfield promises to help people realize their wildest dreams. "For magic to be relevant," explains Copperfield, "it has to evolve so it keeps up with, or even surpasses, the best film and theater. I want to base my work on what people really dream about. Most of us don’t dream of pulling a rabbit out of a hat. But what affects people is realizing personal dreams, dreams almost everyone shares, that they thought were impossible." 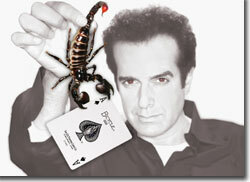 Copperfield's act includes toying with an African scorpion, getting squeezed in to a shoe box, giving tips on how to pick lottery numbers, floating through solid steel, and making 13 audience members disappear (and reappear elsewhere). 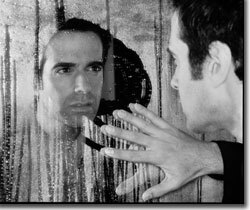 David Copperfield: An Intimate Evening of Grand Illusion plays the Buell for five shows over three days only, May 8th through 10th. Tickets start as low as $20. 303-893-4100 or denvercenter.org.